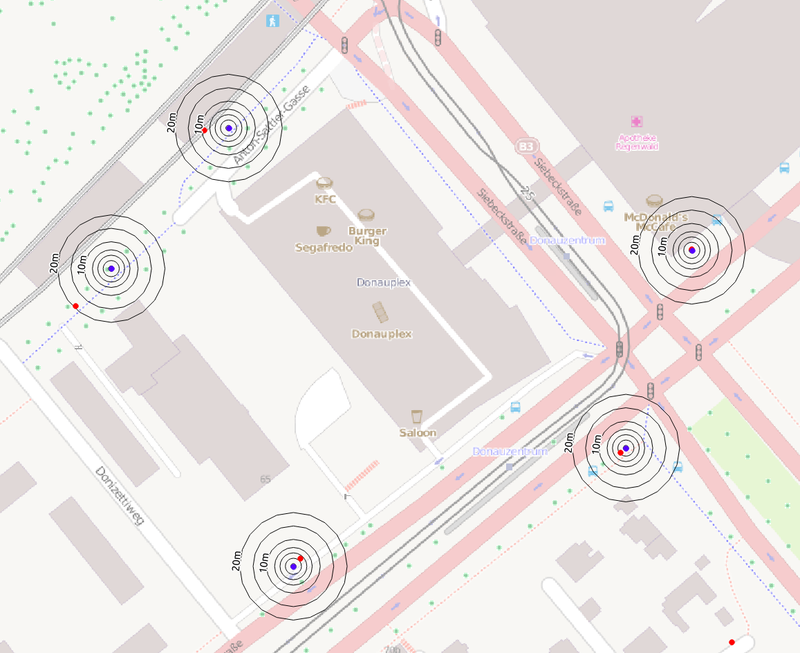 The OpenData initiative of the city of Vienna (http://data.wien.gv.at/) has released a dataset about all fire hydrants of vienna. On the 17th of April it contains of 12702 unique entries and no additional attributes. One can see that the area of Vienna is completely covered. The dataset itself seems to be quite accurate. 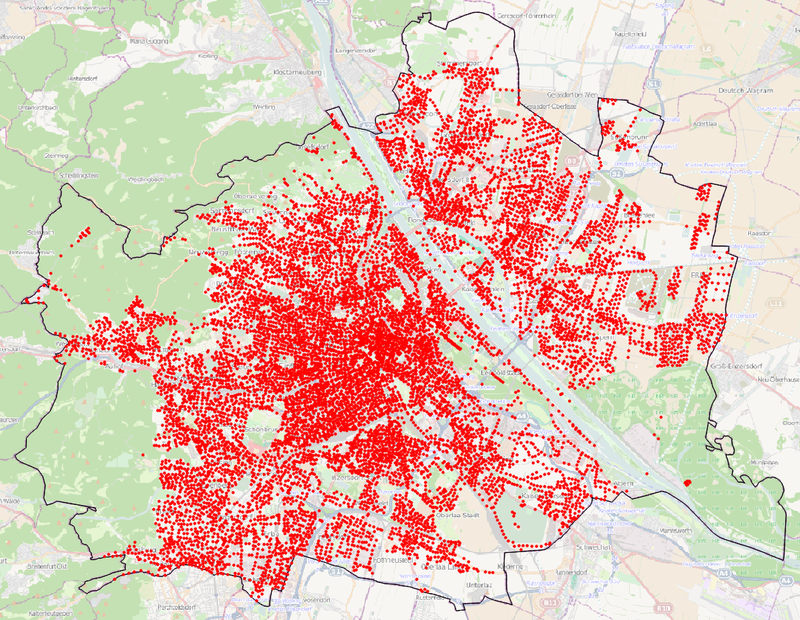 The sum of all fire hydrants in the OSM dataset was 67. They are not placed as dense as for example trees, therefore it is easier to find out which of the fire hydrants in the OGD dataset should not be imported. A quick analysis revealed that with a buffer of 20 meters, most of the already mapped fire hydrants (63) can be detected and omitted. Hallo, was ist denn aus dem geplanten Import geworden? Da ist es bisweilen bei der Analyse geblieben. Könnte man sich aber wieder einmal ansehen.